Beautiful custom home was built in 2011 with tons of natural light that shines throughout its spacious open layout. 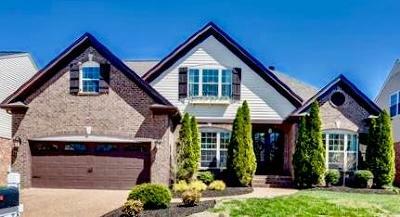 With a first floor master bedroom & laundry (with chute), custom designed kitchen, open Great Room w/ wood burning fireplace, hardwood floors, tile floors in baths/laundry, and built-in cabinetry throughout the house, it won't be available for long. 3 bedrooms upstairs, full bath & loft (bonus room) with custom designed storage closets. Gorgeous fenced backyard w/covered porch.